We will use a very specific example: Four crack initiation sites were noted at the refractory retaining ring fillet welds at the base of the nozzle neck. 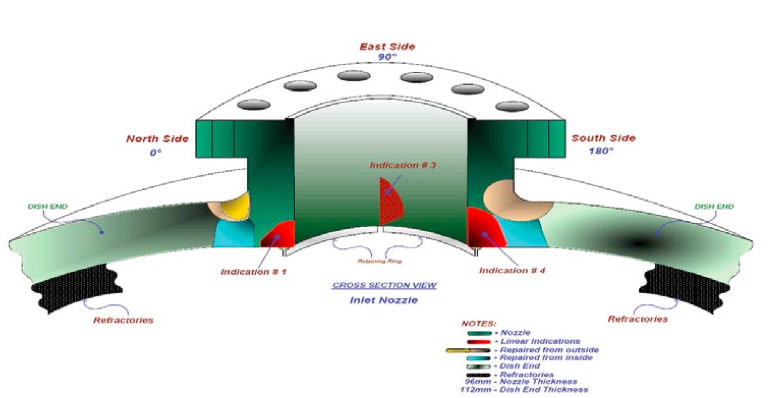 Let’s imagine one of your reactors has four crack initiation sites at the refractory retaining ring fillet welds at the base of the nozzle neck. If you shut down the reactor for repair the unit will be down for four days at a lost production cost of $500K per day. Failure would be catastrophic and totally unacceptable, i.e., it is full of hydrocarbons at high temperatures and pressures. The next scheduled downtime is 8 months from now. In this case it is justified to perform a level 1 FFS analysis, the most coarse and most conservative approach, to determine suitability for service. If the vessel fails the first level analysis it is likely justified to perform a more detailed and costly Level 2 FFS analysis. This analysis may require some level of finite element modeling and collection of additional information. So it becomes more accurate. If the level 2 FFS analysis yields results showing the vessel is still unacceptable for continued service it is likely justified, based on RBI results or other consequence criteria, performing a level 3 FFS analysis which requires more information, additional modeling and additional information as input. 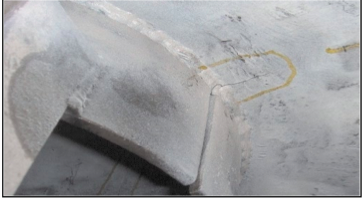 See the crack at the Retaining Ring Fillet Propagating into the Base Material in the image below. In this example the consequences of failure are extremely high for both injury and financial loss. Therefore, it was justified to become increasingly accurate in our analyses, going from level 1, to level 2 to level 3 FFS. 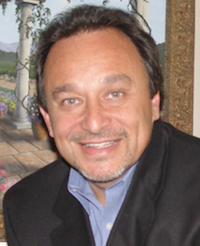 Each level requires more information, analysis and cost. But it was worth it. This would not have been the case had it been another example such as a heat exchanger shell with cooling tower water, thinning and possibly producing a leak. This heat exchanger can operate safely with a leak and can be easily repaired at the next turnaround in a week. These examples demonstrate the use of a scalable accuracy approach based on risk. It is critical that FFS practitioners understand that on- going use of damaged equipment requires surveillance or knowledge of future operating conditions as the safe prediction is based upon the equipment being operated within a certain safe envelope, i.e. where damage rates would not increase beyond and acceptable amount. It is also important to note that the three levels of FFS analysis are calibrated against one another and do not conflict with one another as long as they are performed properly as per the procedures in the referenced standard. Next week we will cover the scalable accuracy approach to RBI. Sign up for our email newsletter, Inspectioneering Turnaround, to get notified when that comes out.